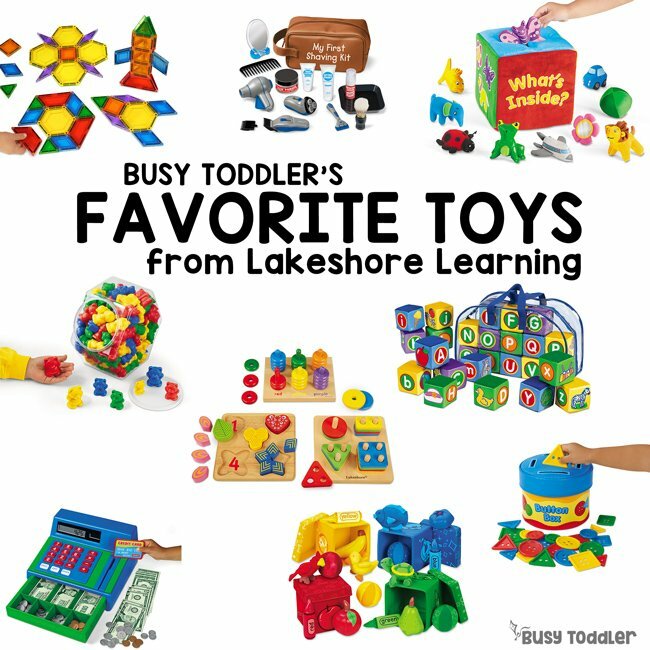 Full disclosure: This post features a mix of items that I received from Lakeshore Learning free of charge over my years being an ambassador with them as well as products that I purchased myself or were purchased for my kids by family members. All opinions of these products are my own. If I had a dollar for every time I was asked that, well, I’d have like a $100 but I know you feel me. After all these years of collecting toys from Lakeshore Learning, we have amassed a serious collection. And I’m fine with that. 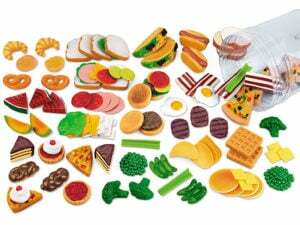 Because these are quality, open-ended toys and many of them are the reason my kids play independently so well. Good toys have a way of breeding good play. Don’t forget to use my coupon code to Lakeshore for 25% off any single non-sale item. My daughter playing with the Wild Animal Counters. When I first started out as a teacher in 2007, Lakeshore was my one-stop-shop for all my classroom supplies. I wouldn’t buy supplies anywhere else. Now that I’m a Mom, Lakeshore is my one-stop-shop for toys – birthday presents, day-to-day life, one-of-a-kind finds. 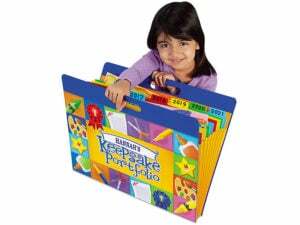 My kids’ Christmas lists are always full of Lakeshore wants. Back in 2016, Lakeshore found my blog (total fan girl moment) and I’ve been an ambassador for them ever since. Between three years of being an ambassador, and then having three kids, a lot of birthdays, Christmases, and loving Grandmas later…we now have quite a collection of Lakeshore products. 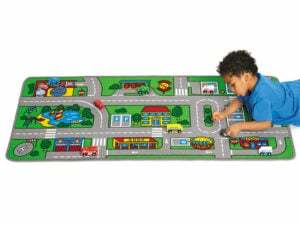 My oldest playing on his Around Town Play Carpet. I couldn’t be happier because these are the best toys to learn with. These are not “one and done” toys that kids play with for a few days and move on from. These are toys my kids have loved for multiple years, have really grown with them, and that my kids keep coming back to play with day-after-day. My youngest loving on the Mix and Match Farm Animals. 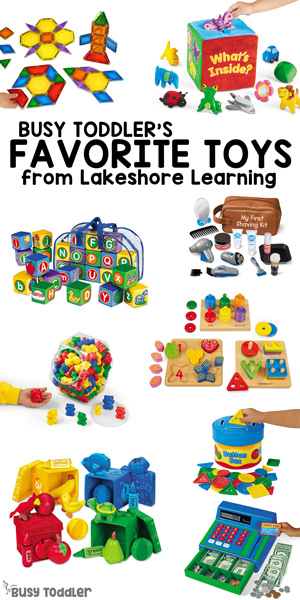 Here are my favorite Lakeshore Learning toys! **BUT REMEMBER, just because a toy is listed under a particular age group, doesn’t mean that’s the only age group that plays with it. These toys have longevity and have stayed with my kids far beyond any age range restrictions. What’s Inside? 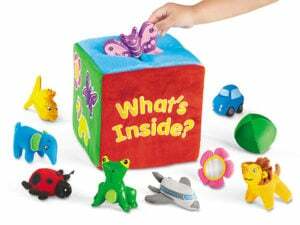 Soft Feely Box – A favorite since my daughter was 16 months old (she’s 3.5 now), we call it the “What Could it Be?” box and the pieces / the box have been holding our family’s attention for two years now. Every single day, this toys comes into play somehow. All About Me! 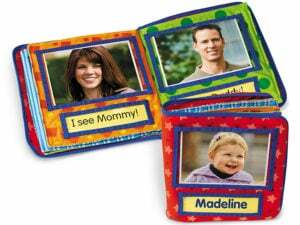 Personalized Photo Book – A great gift for a little one: a book full of family photos! Color Discovery Boxes – Don’t dismiss these boxes. The pieces inside and the boxes themselves have been the center of open-ended play for YEARS at our house. 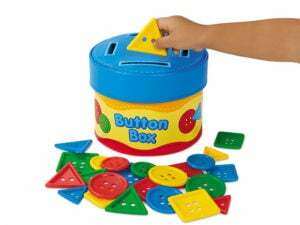 Button Size-Sorting Box – My third born’s favorite since he was 10 or so months old. He’s almost two and just now getting into the sorting side of this activity. My First Sorting Bears – Absolute gems! These bears are amazing and are often being rescued from burning buildings and having tea parties at my house (not to mention all the math and toddler activity possibilities with them). Mix & Match Farm Animals – Oh these animals. What would life be like without you? Hands down the best farm animals we own and being able to swap the heads and bodies make them even better. 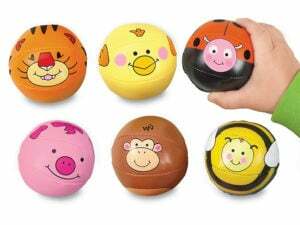 Little Hands Animal Balls – A first birthday gift for my son and every baby I’ve bought for since. These balls are magical. Go get a set immediately! Cuddle & Carry Doll – My son’s beloved “Baby”! There is something about this soft doll that little ones respond too. My son has been cuddled up with her since he was about 12 months old. They are BFFs. See-Inside Sensory Blocks – I’ll admit that I wasn’t sure about these when I first saw them, but now I can’t imagine life without them! 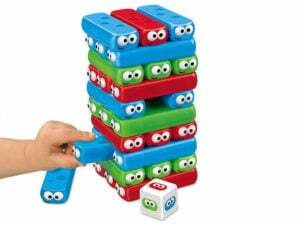 From the time my son was 6-months-old to now (age 2), he loves to shake, stack, and rattle these simple blocks. They are the best. Hide & Seek Beehive – Lakeshore sent me this as a baby gift but my then 20-month old daughter took full ownership. Two years later and these bees are still being played with every single day. 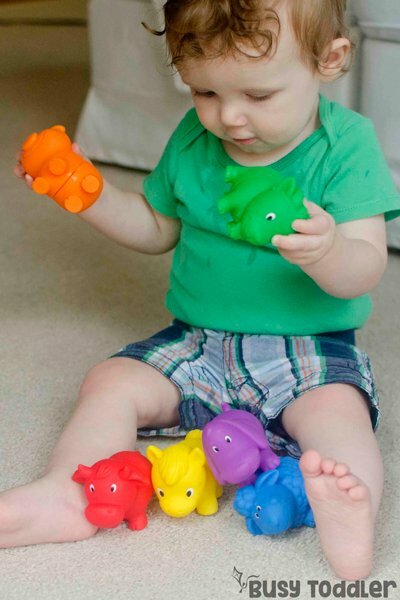 They each make a different sound – perfect for babies, toddlers, and 3.5 years olds! 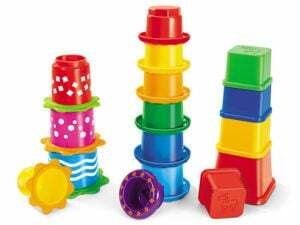 Stack & Nest Sensory Toys ­– Three kids and a lot of stacking cup sets later, I can tell you without a doubt: this was / is the best set we’ve owned. 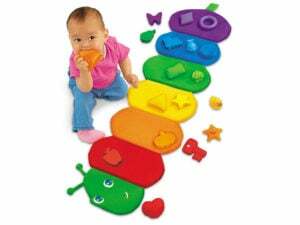 Colorpillar Sorting Mat – Another simple toy that became a centerpiece of play. 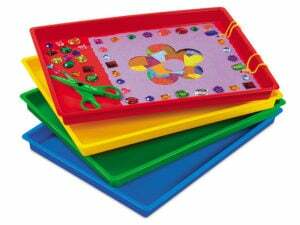 My kids and their friends roll this mat out and imaginary play unfolds. The Colorpillar is magic if you ask me. 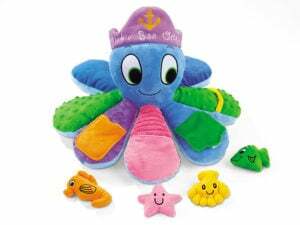 Peek-A-Boo Octopus – This was also a baby gift from Lakeshore that won us over and even though my kids have all finally outgrown it, this Octopus is still with us in the small box of “Must Save Baby Toys”. We bring it out whenever a baby visits and it always gets rave reviews. 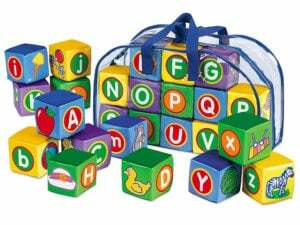 Soft & Washable Alphabet Blocks – The best set of blocks. Alphabet letters on two sides, pictures on the other sides. 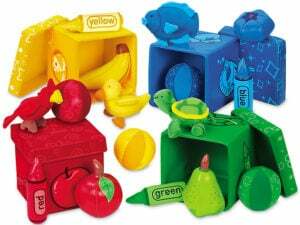 These blocks have introduced so many vocabulary words to my youngest. And they’re great to build with. 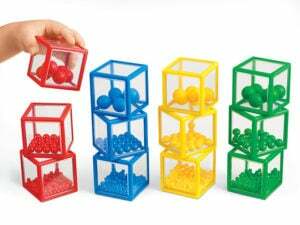 Big Knob Learning Puzzles – We’ve had these since my oldest two were 3-years and 16-months-old and they are STILL fantastic puzzles to use. They’ve gone from kid to kid and are so loved. 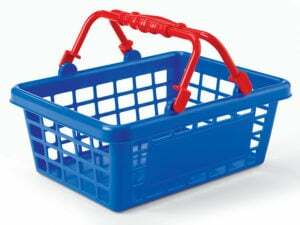 Best Buy Play Food Assortment with Let’s Go Shopping Basket – For our play kitchen at home, this is the only set of food we have and it lives in this shopping basket. It’s a perfect fit and makes for easy clean up! 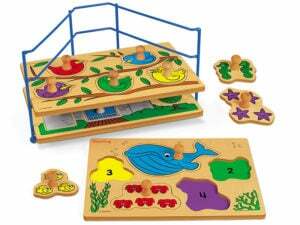 Early Math Activity Center – You need this for the elephants. Three sizes, four colors, and endless play potential. 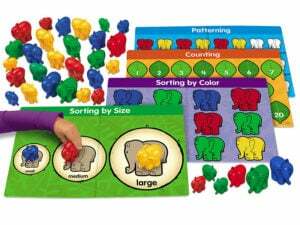 The toy comes with reusable math pages that are awesome, but trust me: the elephants are a must. So many ways to play! 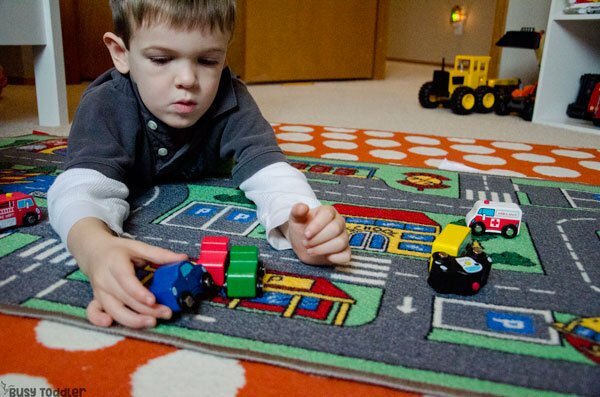 Around Town Play Carpet – Oh the “car carpet”! Such a fan favorite over here and we have the little cars that go with it. You can’t help but join in when the kids are making a town. 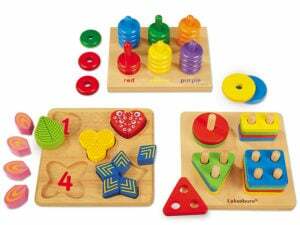 Classic Hardwood Learning Toys – Complete Set – Our first Lakeshore toys and still our favorites – three years and counting, and countless kids have loved these too. My almost two-year-old is just getting into them; my seven-year-old neighbor was playing with them last week. This is a fantastic set of puzzles/games/toys. 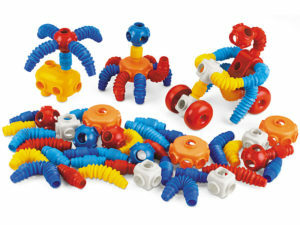 Easy-Twist Animal Builders – We call these “The Twists” and my daughter begged for a set when she saw them in a Lakeshore catalogue. Thank goodness I listened to her and got these. They seem so simple but there’s something special about these animals and I see them out every day. 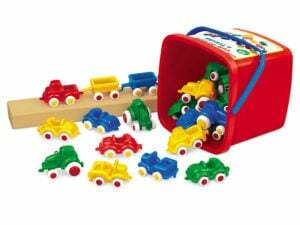 Tub of Cars and Trucks – What a great tub of trucks and cars especially if you are just starting an indoor collection. This can be your one and done vehicle bin! 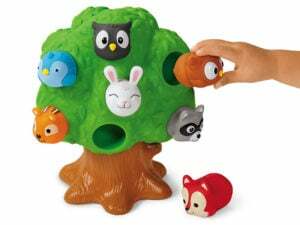 Forest Friends Playset – My daughter wanted this forever and finally got it for Christmas when she was three. She has the best taste in toys – this little set of animals is perfect for her. 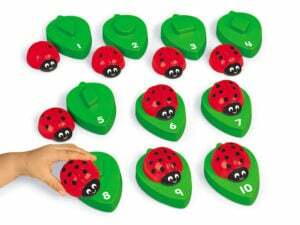 Ladybug Number Match – On the surface, you might not see all the possibilities, but after having these for two years, I know these ladybugs are magical. 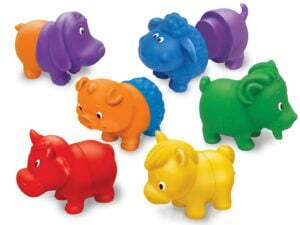 You can line them up, play imaginary games with them, “feed” them, and of course, play hide n’ seek with them. They are everything to my kids. 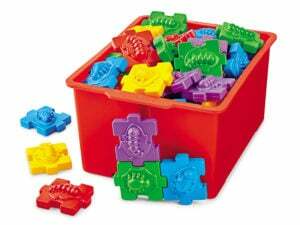 Puzzle Builders – This is a fun random little toy that’s a great hit. 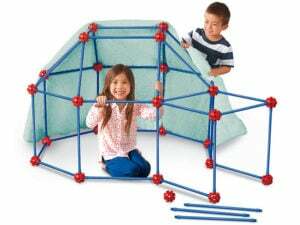 It’s perfect for math activities and for independent play. The pieces fit together as a continuous puzzle so it’s pretty much the coolest thing ever. 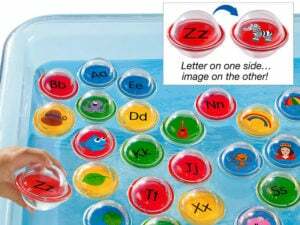 Float & Find Alphabet Bubbles – A favorite alphabet bath toy! These are so fun to float around in the bath tub – or to play with on their own. My First Shaving Kit – Hands down, this is the best imaginary play / dress up kit that we own. My son asked for it for Christmas and we all thought it was kind of random… But now we know it’s the best and we recommend it to everyone (for boys and girls). 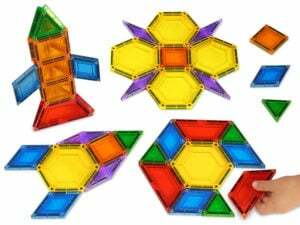 Magnetic Pattern Blocks Builders – The coolest pattern blocks! These are magnetic so they hook together and are just plain awesome. Being magnetic makes them so easy to build and work with. 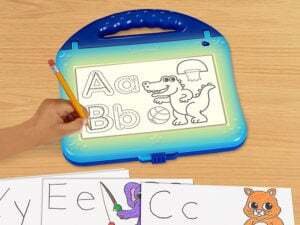 Alpha-Sketch Light-Up Center – My oldest son’s favorite and all his friends got them for Christmas last year too. 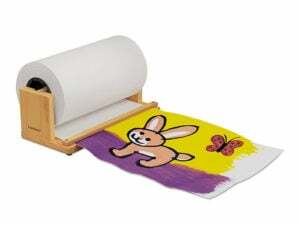 It’s a great quiet time activity for older preschoolers and kindergarten/first graders. 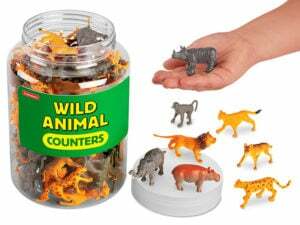 Wild Animal Counters – My kids love this set of animals and you can do so much with them. 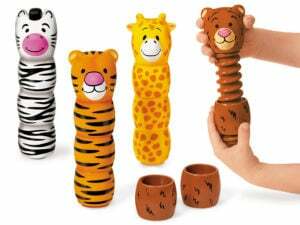 It’s so important to have great open-ended toys in your house and a set of animals is a must. This is by far the best set we own. 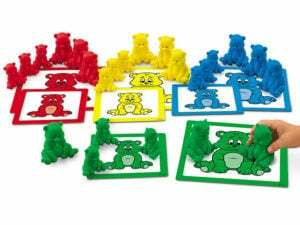 Size & Color Teddy Counters – My oldest kids started out with the My First Sorting Bears and now have “graduated” to these teddy counters. 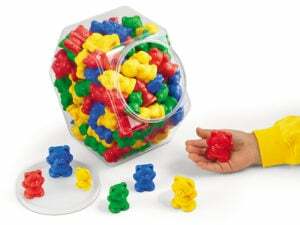 They use them in all sorts of play and activities – I often find these inside the dollhouse or being eaten by dinosaurs. The Ultimate Fort Builder Kit – The Best!!! This set is better than all others that I’ve tried (my parents got a knock off brand and threw it away after trying Lakeshore’s Ultimate Fort Builder Kit). It’s so fun. 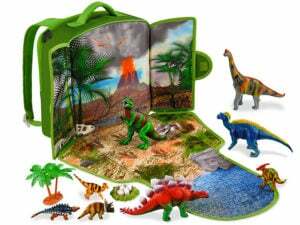 Dinosaur Adventure Backpack – It might look like just a backpack at first but this opens up and unfolds into a play mat / small world. The dinosaurs and accessories live in the zipper part of the backpack for easy travel, storage, clean up, etc. Check out the Fantasy Adventure Backpack which has unicorns and Pegasus toys. 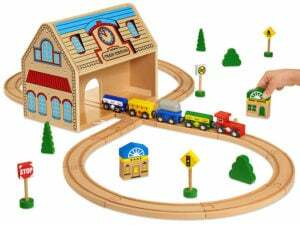 Take-Along Train Station – Holy moly this is a great set! If I could go back in time, this is the set I would have started our train collection with. It’s the total package. Even still, this was an AWESOME set to add to our collection and gave us so many things we didn’t have like a 4-way crossing piece or the drive through train station. 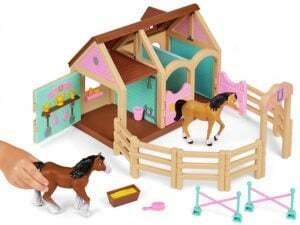 Precious Ponies Playset– My kids love a good farm and I love that this set packs back up into itself! 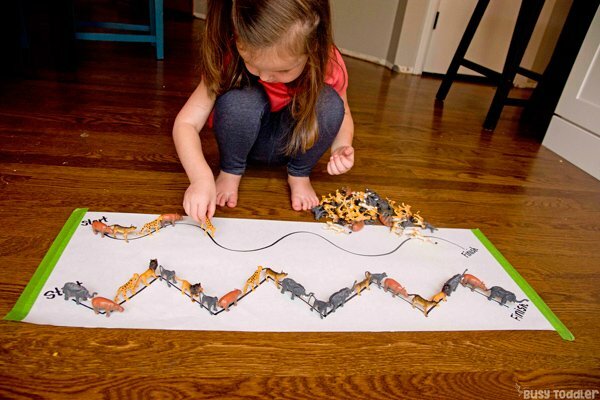 The pony set breeds so much imaginary play – I love seeing what my daughter does with it! Number-Bots – We have both the Alpha-Bots and the Number-Bots, and I don’t mind at all. 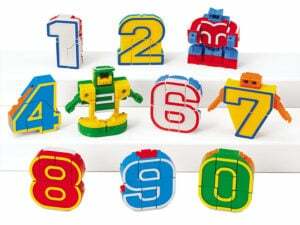 Robots that turn into letters or numbers? Basically, the coolest. 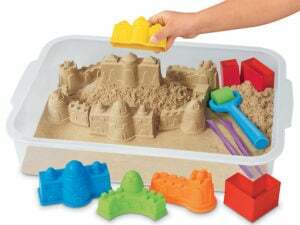 Mold & Play Sensory Sand Set – Oh my love for Lakeshore’s Kinetic Sand runs deep and this kit is the best place to start. Grandma got us this years ago and thank goodness. It’s the best. 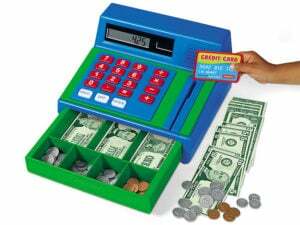 Real-Working Cash Register – YOU NEED THIS. If you have a play kitchen, you’ve got to have this register. It comes with play money, but I pulled that out and have it saved for years from now when my kids are old enough. Until then…this is played with every day on it’s own (even with kids as young as one year old). Stretch & Connect Builders – Such a fun random set of builders! If you have a kiddo who loves to build, this is a great option. Don’t Let the Bugs Fall – Got this as a Christmas gift and it’s awesome. Between the cute bugs and getting to roll a dice, you can see why my kids love this. 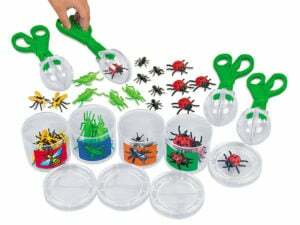 Scoop-A-Bug Sorting Kit – Along the same lines as the Wild Animal Counters, but these bugs come with magnifying cups and scoops which gives them just a little something extra. My kids can play for days with these bugs. 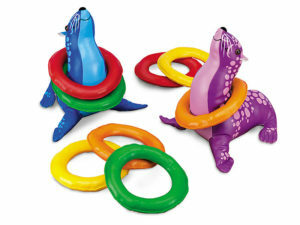 Soft & Safe Ring Toss – These silly seals. Whenever we have play dates, I find them pulled out and played with because kids just gravitate to them. 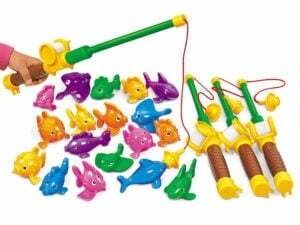 Soft & Lakeshore Magnetic Fishing Set – My daughter wanted this set for a long time and got it for her 3rd birthday. It’s awesome in a kiddie pool, in the bath tub, or on the carpet! Look What I Made! Wrecking Ball – We got this when my son turned 4 and it was the coolest set to build. He still plays with his wrecking ball. 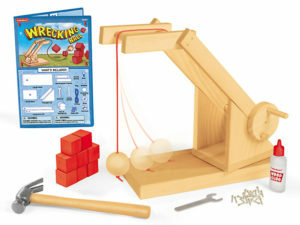 Kid-Sized Real-Working Tools – For his most recent birthday, we got my oldest these and they have been everything to him. 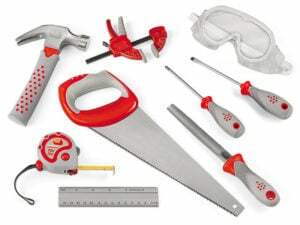 Everything – even the saw – is real so use good judgement on when your kids are ready for this kit. 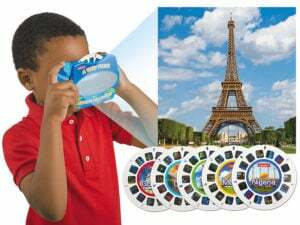 A View from Around the World – I bet you had one when you were a kid! This simple classic is still the best. We got it for Christmas and all the neighborhood kids fight for a turn. Super Safe Paper Center – Need a great way to store your paper roll? This is how I store mine! 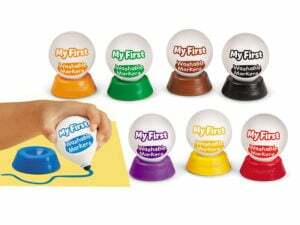 My First Washable Markers – I got these for my son when he was 15 months old, but it helped ALL my kids work on their tripod grip while coloring. Easy-Clean Craft Trays – I had these in my classroom when I taught and now I love having them at home with my kids. We use them for art, kinetic sand, play dough, etc. These have so many uses. My Keepsake Portfolio – Wondering what to do with their art work? Get one of these!! 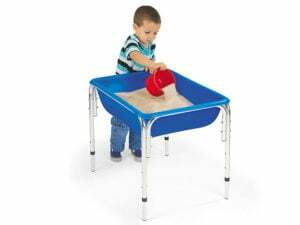 Economy Sand & Water Table – Pretty much the most amazing thing I own. I bought the lid to go with this so it doubles as a kid activity table with sensory supplies hidden inside. It’s a game changer. 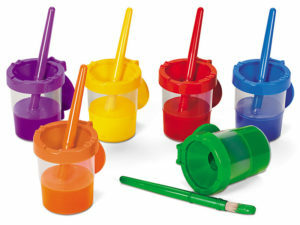 No-Spill Paint Cups – I actually couldn’t live without these. They changed painting life. 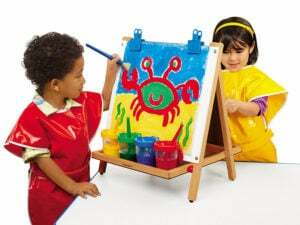 3-Way Table Top Easel – Such a cool and compact easel. I love that it’s double sided – dry erase on one side and chalkboard on another. 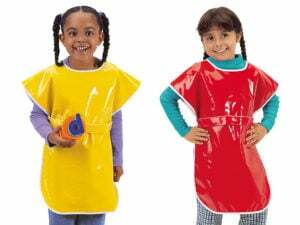 Heavy-Duty Adjustable Vinyl Paint Aprons – These smocks have been a blessing for my messy kids! They each have one! Remember my coupon code to Lakeshore for 25% off any single non-sale item.